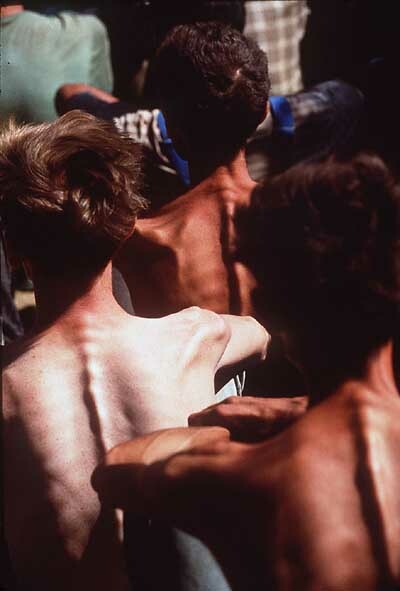 Bosnian Genocide, 1992: TV pictures of the Serb-run Omarska concentration camp in western Bosnia near Prijedor, August 1992. 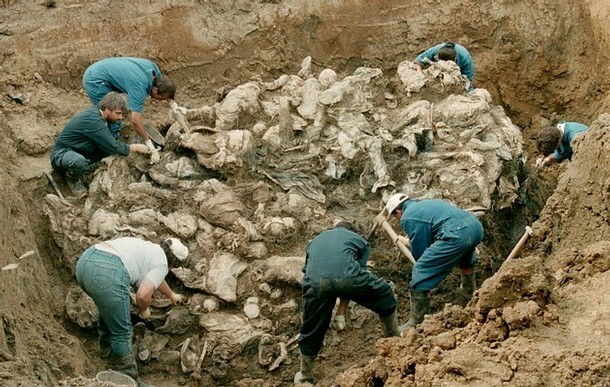 Thousands of civilians, mostly Bosniaks (Bosnian Muslims), died there. 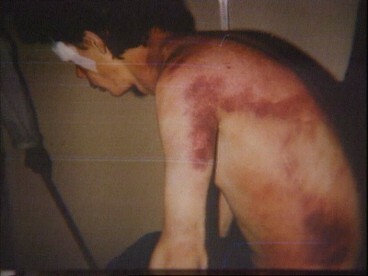 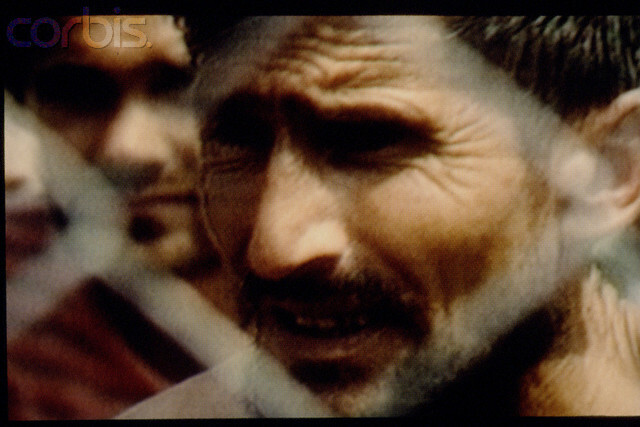 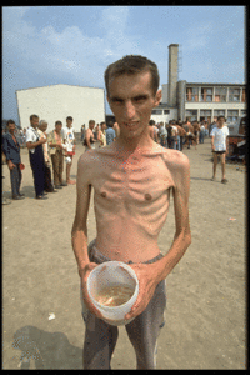 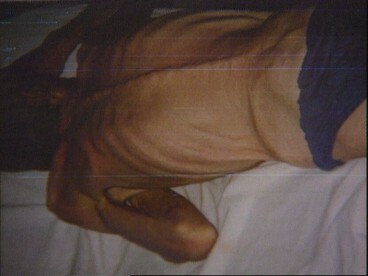 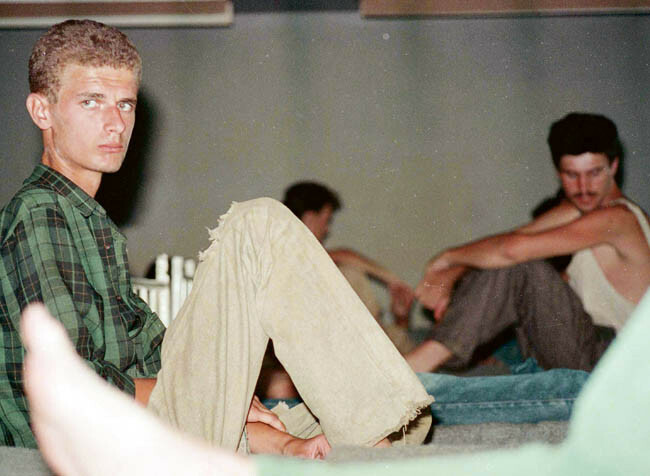 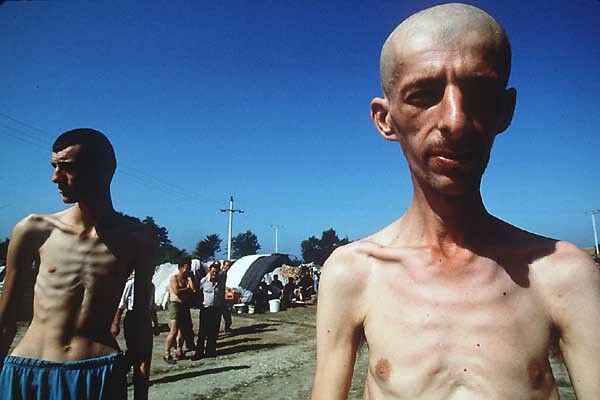 Bosnian Genocide, 1992: TV Pictures of the Serb-run Omarska concentration camp taken on 7 August 1992. 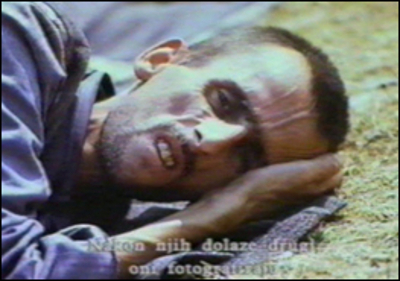 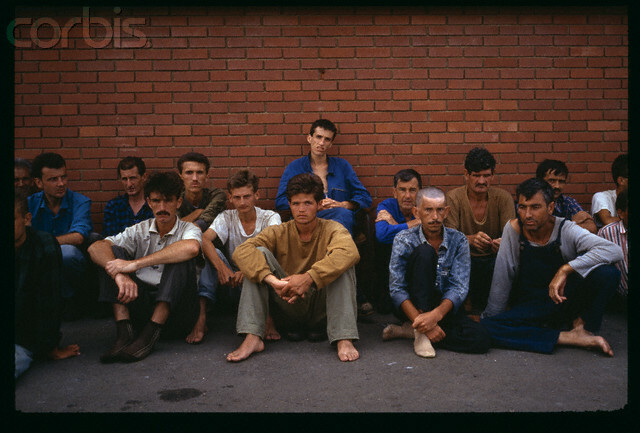 Bosnian Genocide, 1992: TV Pictures of the Serb-run Omarska concentration camp near Prijedor, Bosnia. 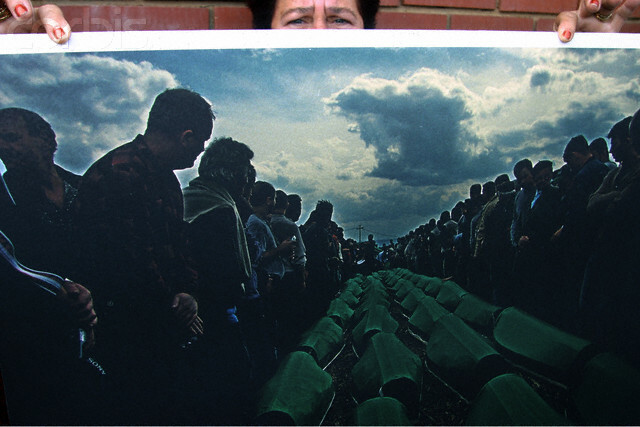 Thousands of civilians, mostly Bosniaks, died there in 1992. 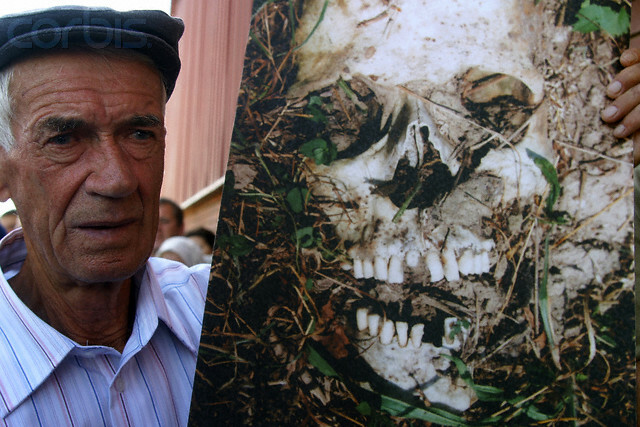 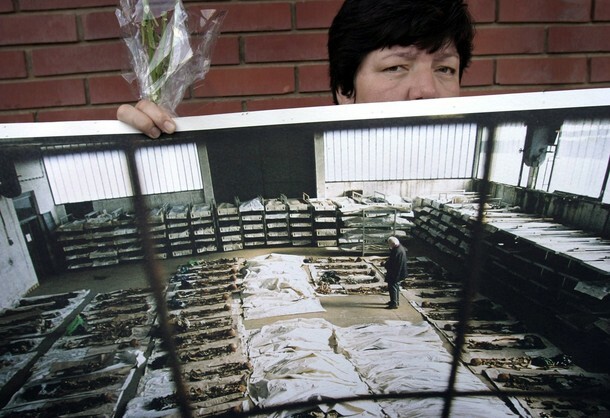 Bosnian Genocide, 1992: Relative of the Omarska concentration camp victims near the Western Bosnian town of Prijedor in Bosnia-Herzegovina holds photos of excavated bodies of her relatives on 06 August, 2006. 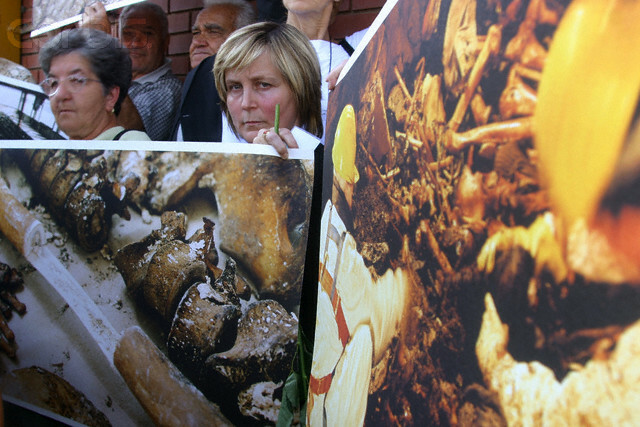 A Bosnian Muslim woman holds a poster during a visit to the former Serb-run Omarska concentration camp in western part of Bosnia, near Prijedor, on August 6, 2006, to commemorate the 14th anniversary of the revelation of death camps by British journalists in August 1992. 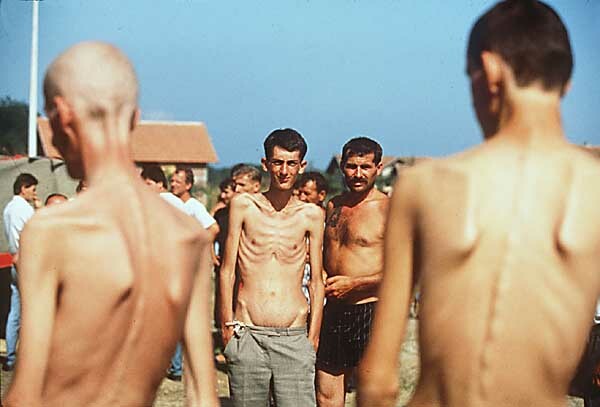 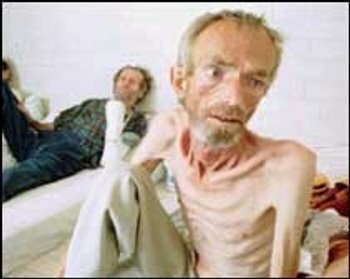 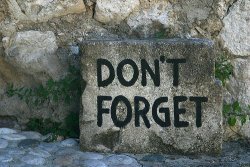 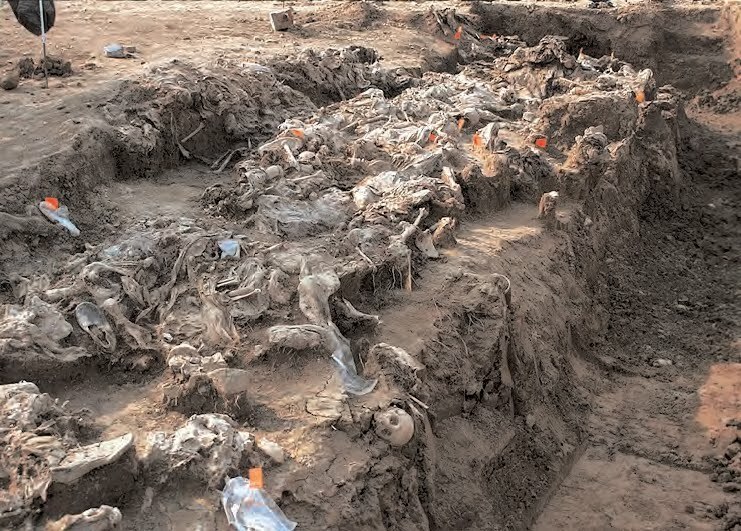 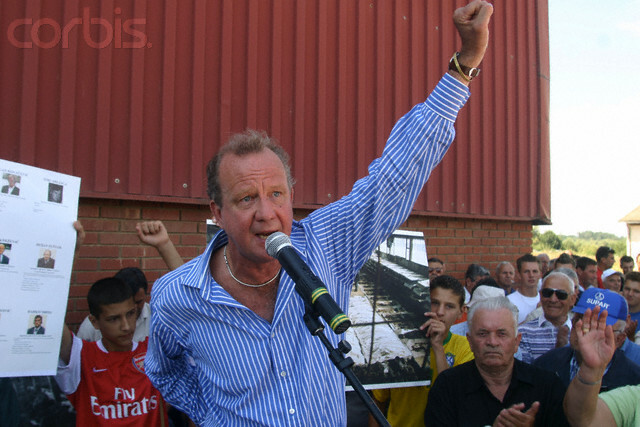 Thousands of non-Serbs, mostly Bosniaks (Bosnian Muslims), were tortured and murdered in three notorious concentration camps in western Bosnia. 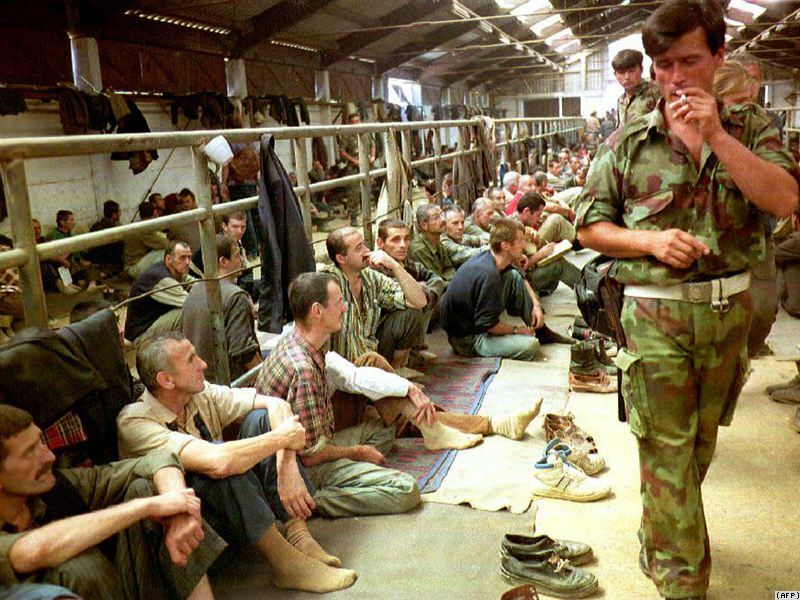 Several of high-profile Serb commanders have been sentenced by the U.N. war crimes tribunal in The Hague for the atrocities committed there. 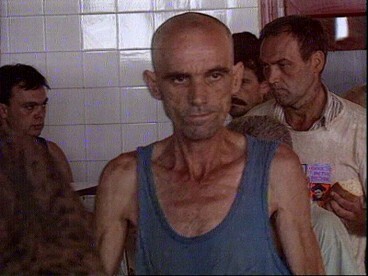 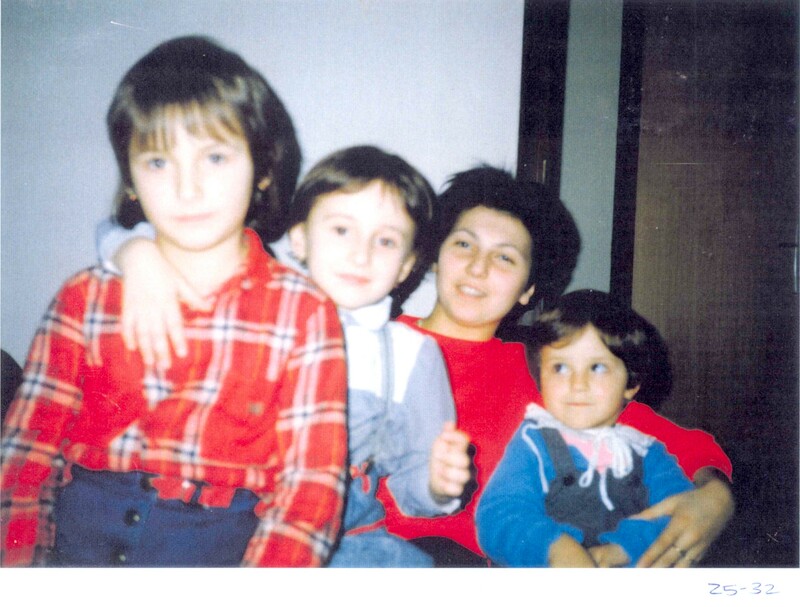 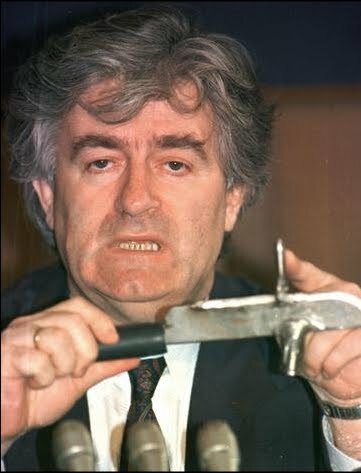 Bosnian Genocide, 1992: 21-year-old Edna Dautovic was one of many Bosniak (Bosnian Muslim) women who were tortured, brutally raped, and then killed by the Serbs in the Omarska concentration camp near Prijedor. 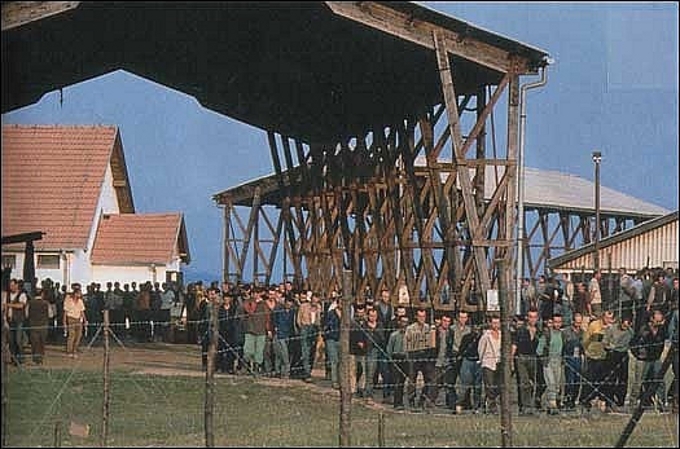 Pre-war photo of Edna Dautovic courtesy of the International Criminal Tribunal for the Former Yugoslavia (ICTY).